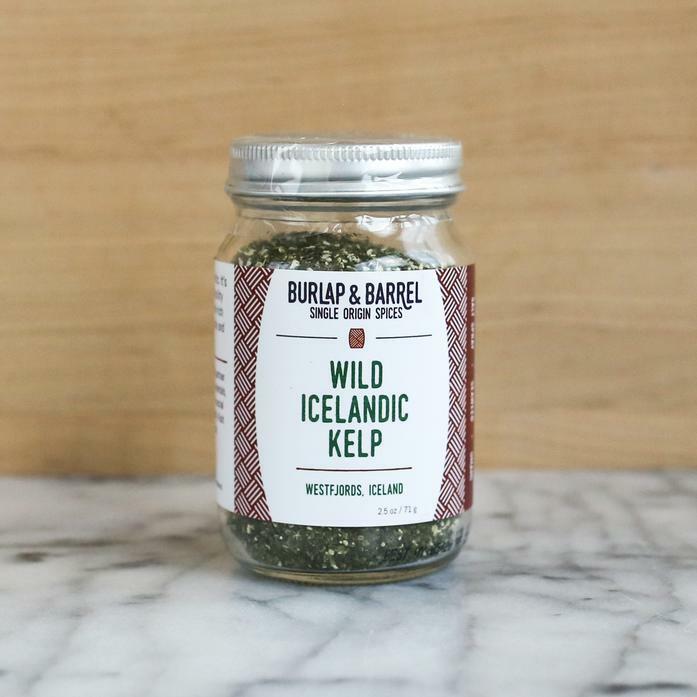 Harvested from the bottom of the frigid North Atlantic off the coast of Iceland, this wild oarweed kelp has a deep umami flavor and oceanic minerality, salty and briny. Perfect for adding depth, savoriness and body to soups, or for finishing meat and seafood dishes. Each order contains one 2.5 oz jar.